In the seven years since Kiryu Aikido was founded, the dojo has practiced in three locations. 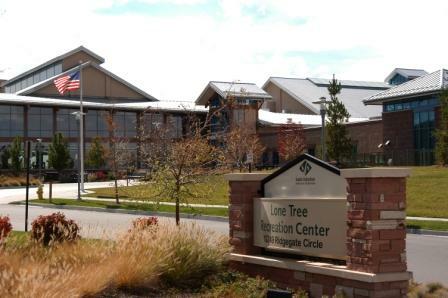 Starting in March 2010, the dojo will be at a new location: Lone Tree Recreation Center in Centennial, Colorado. It may seem like a big deal to move a dojo to a new place. There are the tasks of weeding through many potential locations to find one that works, negotiating class times, and finalizing business agreements with the facility. Then packing up and moving hundreds of pounds of mats, hopefully on a sunny day so they don’t get wet, and bowing in and getting back to practice. But all this is just the external stuff that needs to be done. It’s actually easy to move a dojo, because the dojo — the true place of practice — hasn’t moved at all. It is still, and always will be, kept safely in the hearts and souls of the teacher and students. Like a strong, healthy family, a strong, healthy dojo isn’t the space in which it trains. A good family will remain cohesive and supportive whether they’re living in a tent or in a multi-million dollar home. The form and the physical place where they live doesn’t create the family or make the space “home.” It’s their commitment and honesty and dedication and support of each other that makes the family and creates the home. A strong dojo remains strong regardless of where the physical space may be. The space — four walls, a roof, and mats — is just that: the outer shell of where practice is held. The real dojo lives inside each person who bows onto the mat and into practice day after day, week after week, with respect and integrity shown from the heart for each other. Together, they take care of the dojo’s needs as if it were a living creature. Because in many ways, it is. The care and dedication shown by its members to each other is reflected in the culture and energy of the dojo. As author Eckhart Tolle once wisely said, “all structures are unstable.” In the end, any physical place is temporary, and it’s a bit of a risk to become too attached to any such structure or allow a space to define who we are, what we believe, what we stand for, or what we deem important in this short life. Dojo locations come and go; trappings and accoutrements vary from place to place. No matter what, when we bow in and say Onegaishimasu, nothing else matters but the good people practicing hard, giving it their all, and enjoying a few fleeting minutes doing something they love, and love sharing. Kiryu Aikido looks forward to the next steps on the path and welcomes you to come practice as we bow in at our new location. Hobo kore dojo. Each step is our dojo.